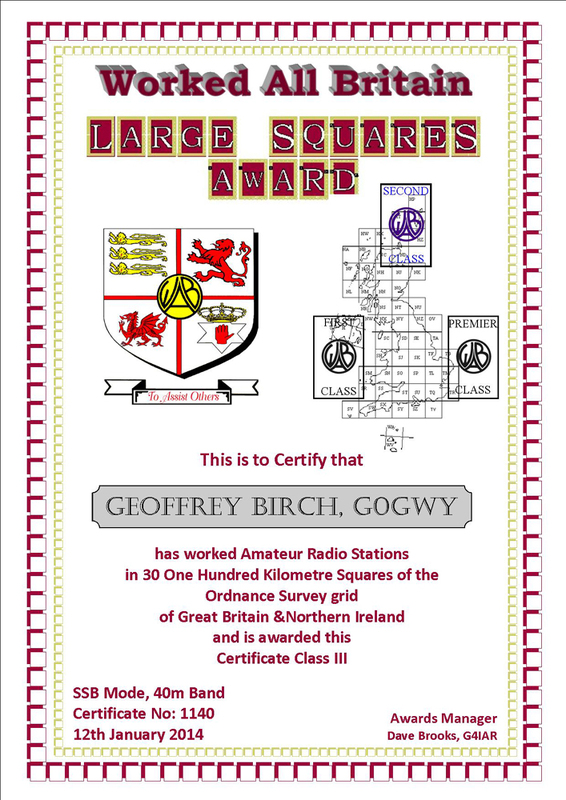 This award is for the 100km Large Squares of the NGR, Irish and UTM grid systems. Contacts for this award must have been on, or after, 1st May 1974. 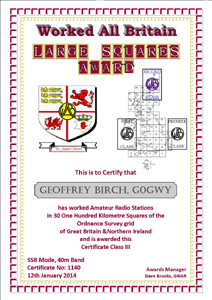 There are 4 classes of award available, Class III for 30, Class II for 40, Class I for 55 and Premier for all 63 Large Squares. A certificate is issued for Class III with endorsements for all other classes.